The VPA may be sloped in the field, offering a versatile solution for attaching rafters to the top plate. It will adjust to accommodate slopes between 3:12 and 12:12, making it a complement to the versatile LSSR. 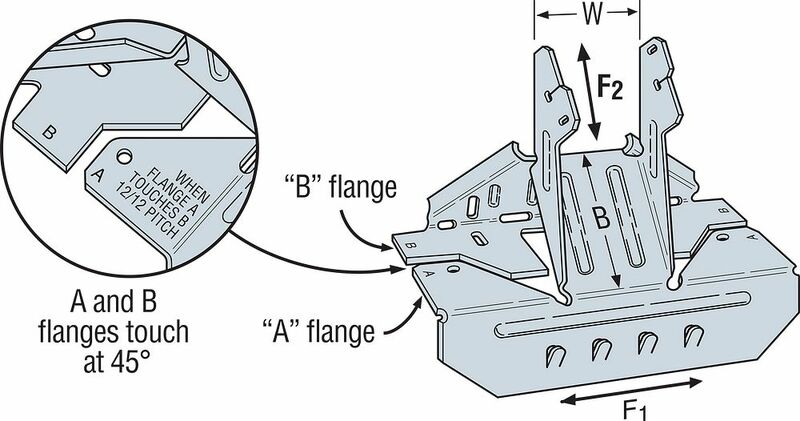 This connector eliminates the need for notched rafters, beveled top plates and toe nailing. The WC-C-EWPBI13 is a double-sided, color updated bi-lingual (English/Spanish) wall chart featuring product and installation illustrations of top-selling EWP/SCL connectors.